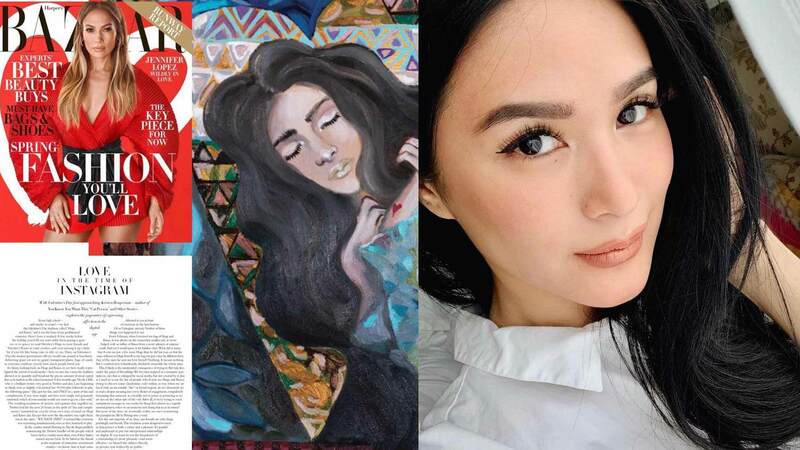 Heart Evangelista's Painting Is Featured In The February Issue Of Harper's Bazaar! Today, January 26, Heart Evangelista announced that her painting Follow Your Heart is featured in Harper’s Bazaar’s February 2019 issue, which Jennifer Lopez fronts. Giving more information about the feature, Heart tells Cosmo.ph, “They commissioned me to paint it for their main article about love.” She is referring to the article "Love in the Time of Instagram," written by Kristen Roupenian. This amazing piece of news comes just three days after the launch of Heart's collaboration with French luxury label Sequoia. So proud of you, Heart!